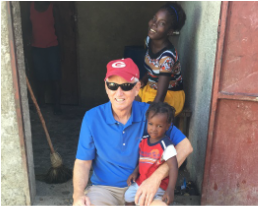 Over the years, Discipling Ministries International has been blessed to also minister to those who are in need in Haiti. Most of this ministry has consisted of financial support that has gone towards helping individuals in Haiti after the effects of the devastating earthquake in 2010. This ministry has continued to grow under the leadership of The Good Samaritan Project, which has led to the construction of an orphanage along with multiple churches. 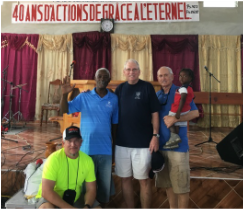 What began as the Old Baptist Ministry to Haiti has become a congregation of over 500 people worshiping in three locations. Hundreds of lives have been changed by this ministry and it is clear that God’s hand has watched over them. In 2016, there was a celebration held for the 40 years of ministry in Haiti. The main church campus houses, feeds and educates 70 orphans, and there is a long waiting list. Due to the wrenching deprivation and in some cases abandonment of these precious children, this ministry is desperately needed. Thanks be to God that the wonderful work of the dedicated leaders is giving these children hope. Even after the devastating earthquake of 2010, the faith of many Haitians has grown in great number, leading many to begin serving the living God. However, with so much devastation, many are in need of basic necessities and daily needs. The things many of us so often take for granted, these individuals desperately need. The Good Samaritan Project has continuously sought to provide the basic needs to many Haitians, sharing the love of Christ in the process.